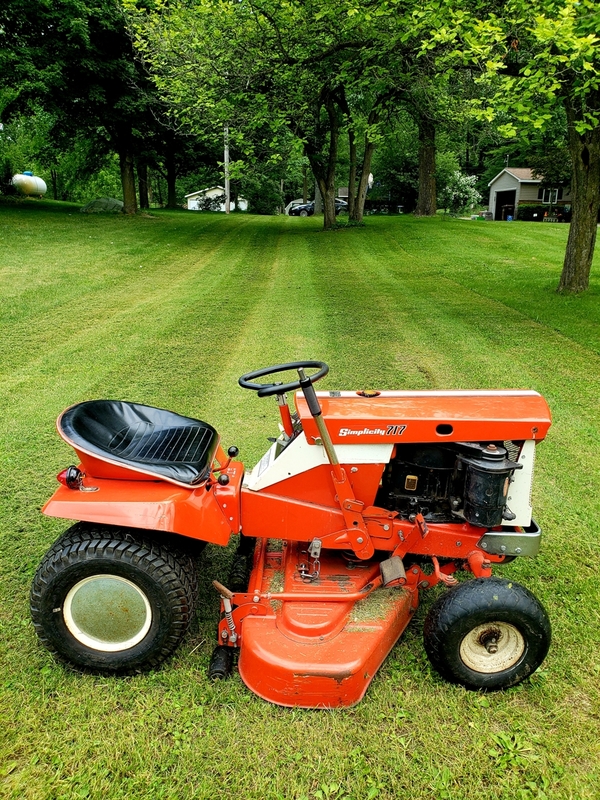 I've been mowing with the Sovereign this spring but finally got the deck on the 717. I just love how the 36 inch deck follows my uneven lawn and makes it look so good. Not bad for a 51 year old mower.